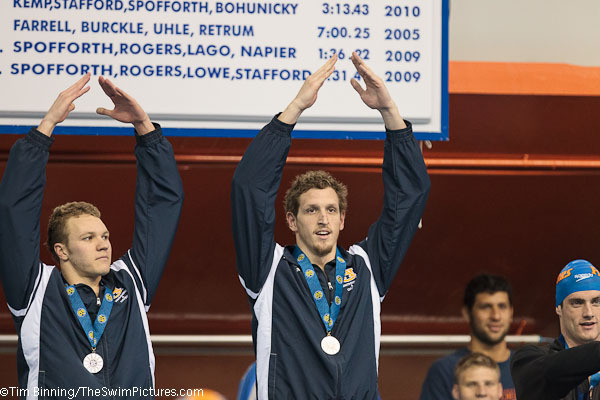 Conor Dwyer, Marcin Cieslak and Brett Fraser celebrates victory. 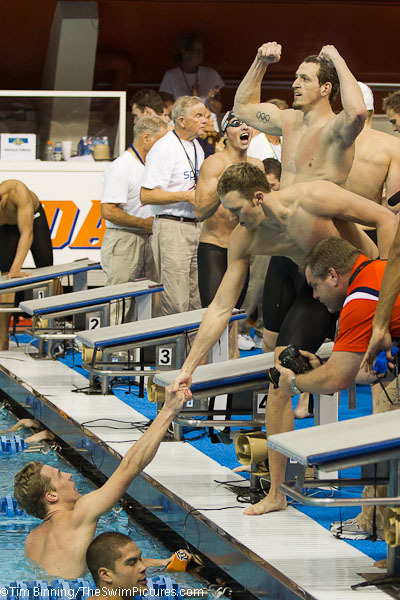 set a new SEC record in the 200 free leading of the relay (1:31.73). 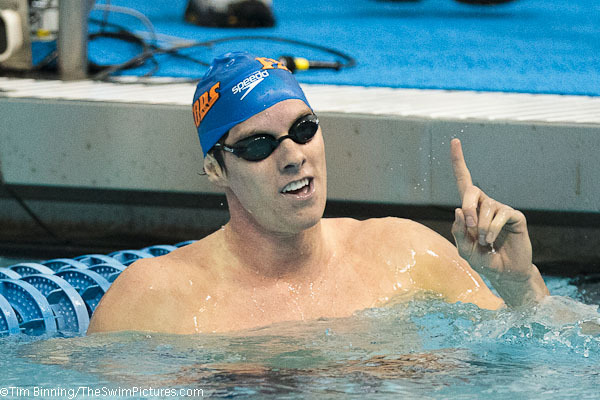 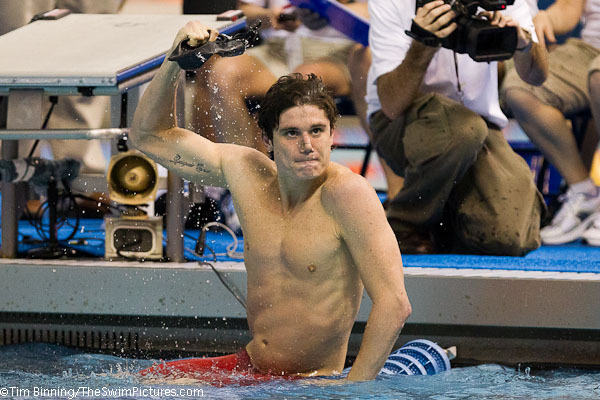 Conor Dwyer of Florida sets a new SEC record in the 500 free (4:11.36) on route to victory. 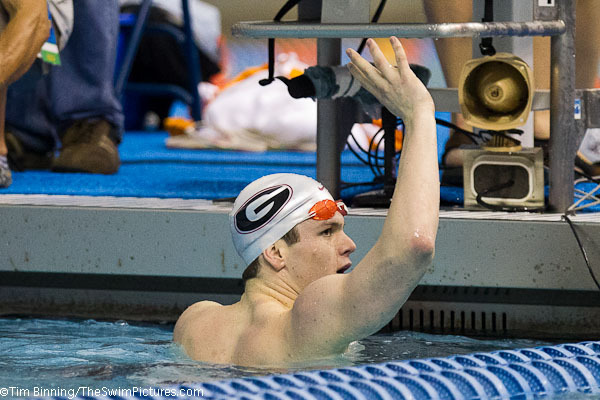 Bill Cregar of Georgia takes the victory in the 200 IM with a 1:43.67. 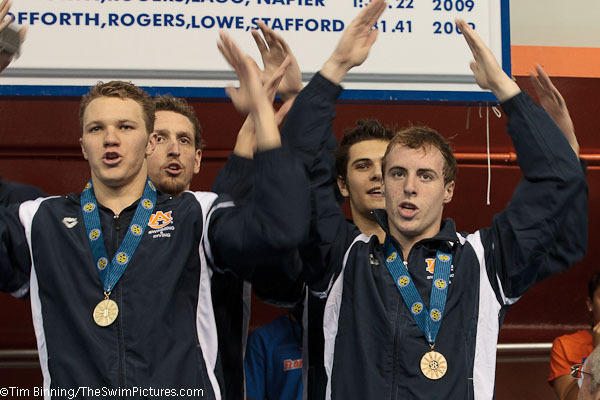 Adam Brown leads a 1-2 finish for Auburn in the 50 free. 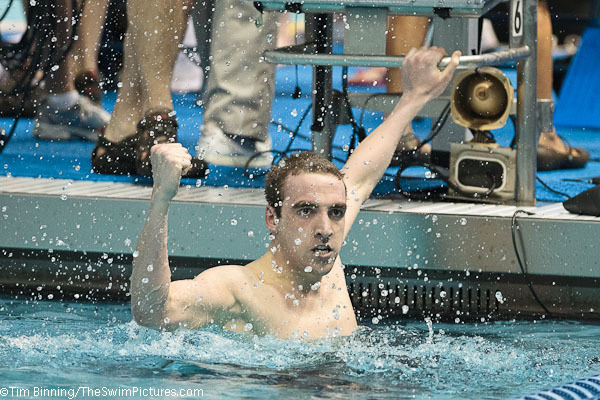 Karl Krug took second for the Tigers. 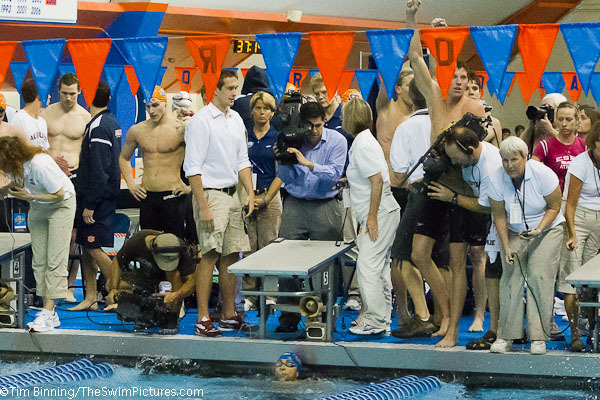 The Auburn team of Adam Brown, Marcelo Chierighini, Chris Manning and Karl Krug take the win in the 200 free relay. 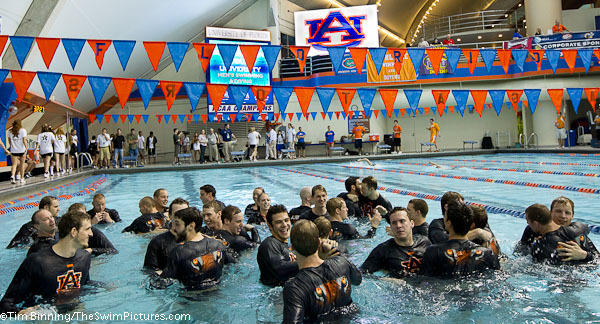 With two days of competition remaining the Auburn Tigers hold a 42 point lead over the SEC host Florida Gators. 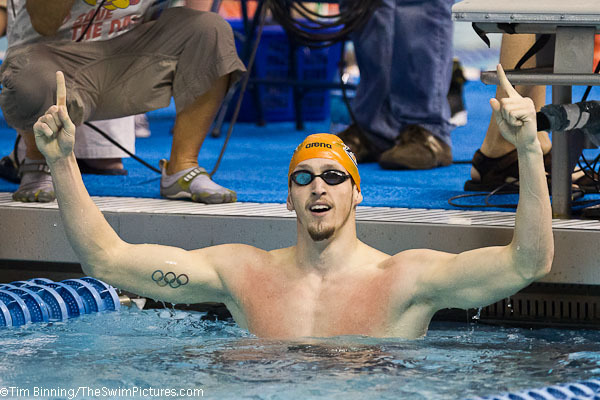 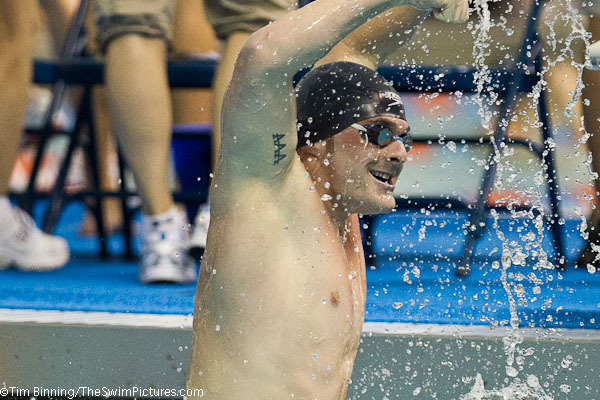 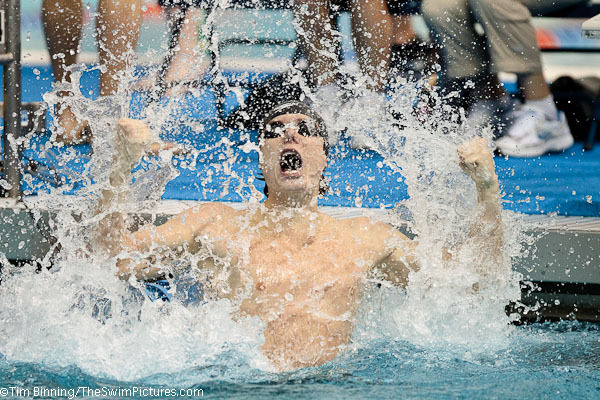 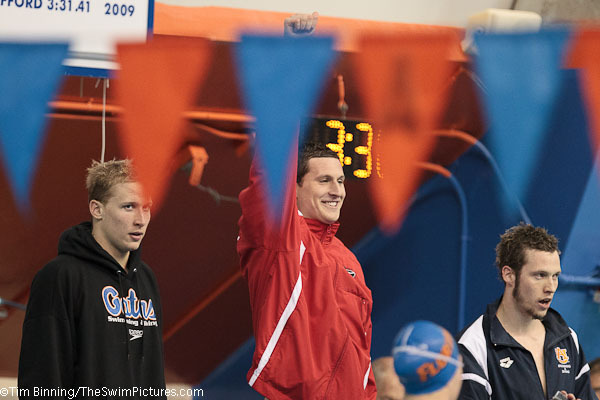 The previous record was held by former Gator Ryan Lochte. 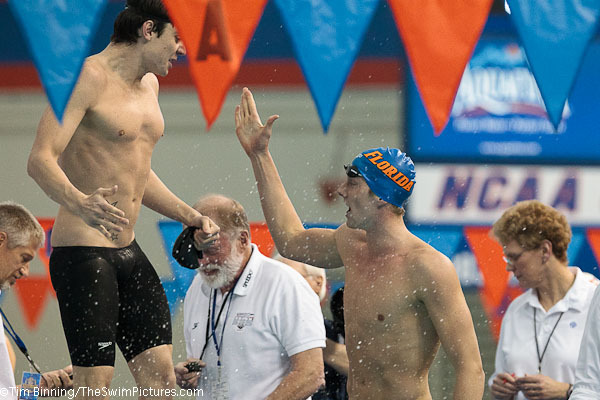 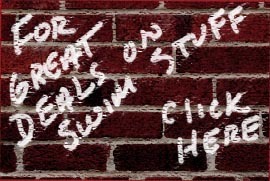 Marcin Cieslak of Florida keeps the Gator winning streak in tact taking the 100 fly in 46.03. 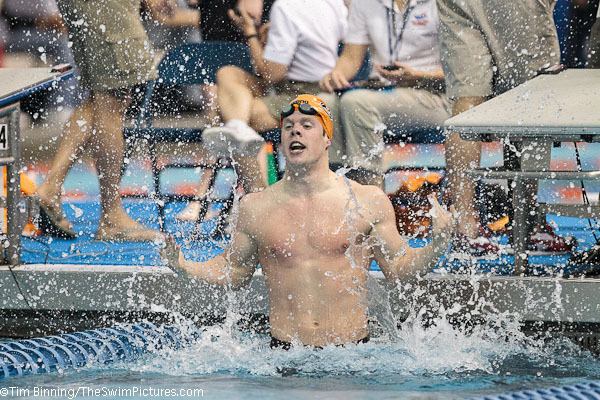 Ryan Harrison of Tennessee wins the 200 freestyle in 1:32.38. 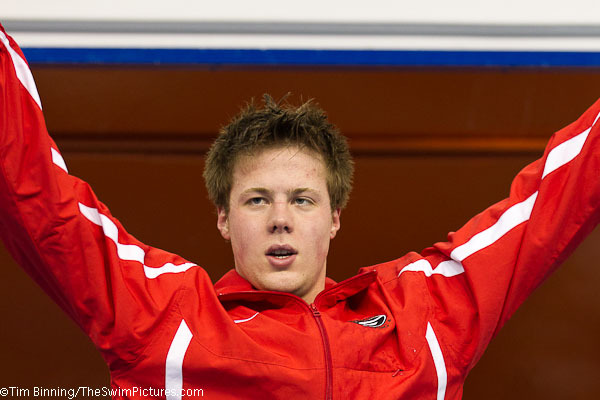 Stuart Ferguson scores the win in the 100 breaststroke going 53.01. 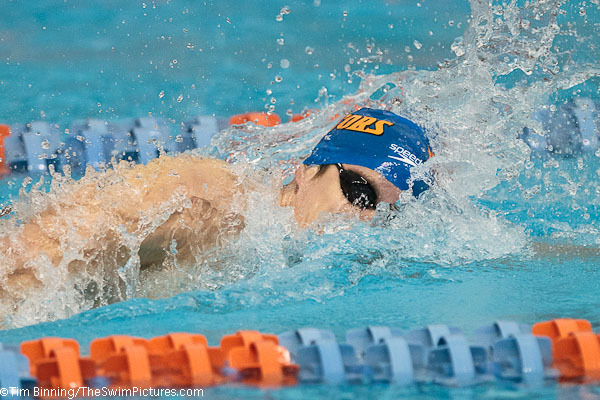 Marco Loughran of Florida wins the third individual event of the night for the Gators capturing the 100 backstroke in 45.70. 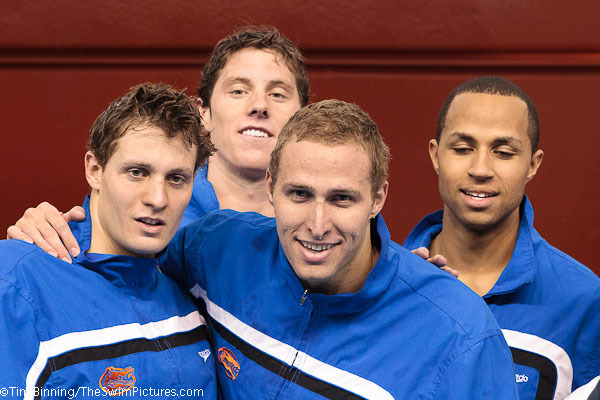 Brett Fraser win the 400 medley relay in 3:04.99.